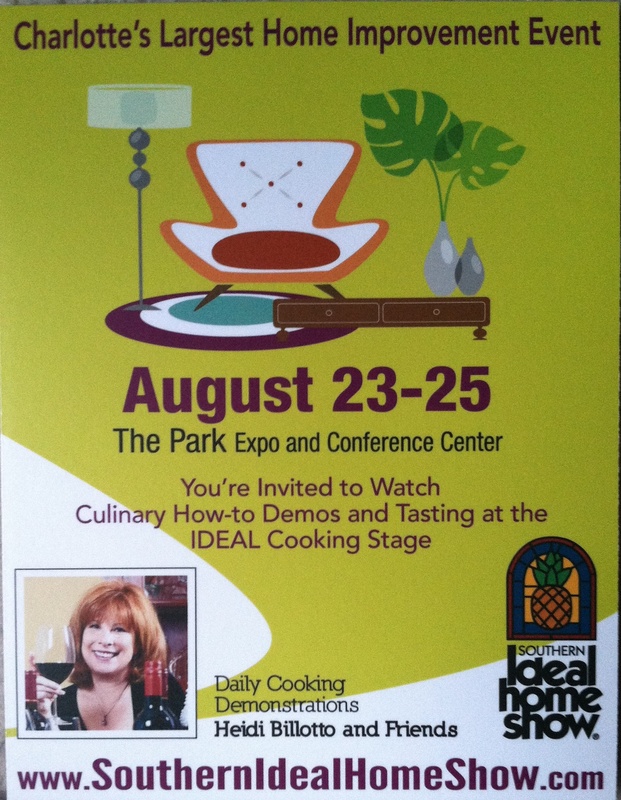 This weekend, August 23-25, 2013, I have the pleasure of once again hosting the cooking stage at the Southern Ideal Home Show, held at Charlotte’s The Park Expo and Convention Center – Its a labor of love as I get to work with some of my favorite Charlotte Chefs presenting back to back cooking demos every hour on the half hour. Showgoers will enjoy complimentary samples at each cooking demo, recipes, giveaways and more; plus the opportunity to chat with your favorite chefs up close and personal too! You can plan your visit to the home show based on when your favorite area chefs will be cooking…. and if you click on the link at the right to follow this blog – I’ll have two complimentary tickets waiting for you at the show’s Will Call desk… I’ll email you the details once you sign up to follow. So Now, Here’s the complete schedule of cooking demos for the weekend – you’ll want to come back all three days to see and taste it all! Looking forward to seeing you there! 2:30 pm Meet the Farmer: Heidi Billotto Cooks with local organic grass-fed beef Presented By : Shelley Eagan with Proffitt Cattle Co.
3:30 pm Quick, Easy and oh so Good Presented By : Personal Chef Jill Aker-Ray from “What’s for Dinner”? 2:30 pm Quick, Easy and oh so Good Presented By : Personal Chef Jill Aker-Ray from “What’s for Dinner? Next Post: Fire in the City – The Heat is On, Charlotte!! !